When you’re looking for opportunities to promote your brand in 2016 consider the 10th Element of Hip Hop tour & Hip Hop Green Dinners. We have a very unique opportunity to reach new markets and expand your brand. We are on the vanguard of the new trend of people open to health, wellness and discovering new products. These consumers are searching for new products to purchase and places to purchase them in order to live healthy lives. Over the years our organization has been very effective in using our Hip Hop Green Dinners to reach young people and their families while introducing them to tasty vegan meals and new products. This forward thinking approach has put us in a unique position as plant based and healthy living reaches the tipping point of becoming main stream, and over the years we have been fortunate enough to have witnessed the life changing results of our Hip Hop Green Dinner events. If you are like so many businesses, you understand that it’s very important to take advantage of opportunities to grow a new market with projects that directly make positive and sustainable change in people’s lives, and the Hip Hop Green Dinners have been leading the way by inspiring youth and families this where your sponsorship can make the greatest impact and return. Now our organization is growing and in 2016 as we plan on continuing our trailblazing efforts by holding our second national tour reaching 15 cities across the country. It is through creative grass roots marketing, outreach and education that we are able to introduce your brand and products to create lasting change in the lives of the people that we reach, and your partnership is at the heart of what we do. These Hip Hop Green Dinner events are always free to the community; we are able to make it free because of donations and sponsorships from people like you. We have an amazing opportunity to showcase your brand and be a part of a very special time in the history of Hip Hop. The health of our youth and everyone in our community is one of the most important issues we can help address. Welcome to the Green Age of Hip Hop! If you are a sponsor, community organization or interested in being a part of the Hip Hop is Green tour. 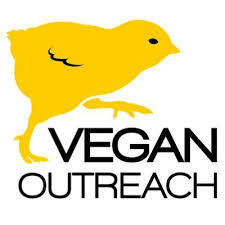 Vegan Outreach is a nonprofit organization working to end violence towards animals. Vegan Outreach focuses on exposing the suffering of farmed animals through the widespread distribution of our booklets promoting plant-based eating. Our outreach coordinators and volunteers hand our booklets to about 1 million students at up to 1,000 schoolsevery semester. We also distribute our booklets at concerts, festivals, and other places where we’re likely to find potentially receptive individuals. While based in the United States, VO has an extensive presence in Australia, Canada, Mexico, New Zealand, and most recently India. Vegan Outreach also focuses on keeping people vegan through our Vegan Mentor Program and our Registered Dietitian who maintains VeganHealth.org and counsels people who have questions or issues. Vegan Outreach has an extensive social media presence and a weekly e-newsletter that keeps our members involved in our programs and provides news about vegan living. You can get recipes, your own personal vegan mentor, nutrition advice, booklets and more at www.veganoutreach.org...and everything is free! all people have enough food, and the right kinds of food. The right kinds of food maximize well-being and minimize harm… to people, animals, and the planet. people are not under-fed and undernourished, dying by the millions of “diseases of poverty,” such as: hunger, nutrient deficiency, and dehydration. people are not over-fed and malnourished, dying by the millions of “diseases of affluence,” such as: heart disease, cancer, stroke, and diabetes. food is produced and distributed in ways that prioritize the common good. The food system is one that nourishes people, protects animals, and replenishes the planet. 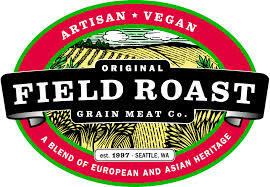 David Lee created Field Roast to blend the European tradition of charcuterie with the Chinese Mien Ching tradition of using grains as a vegetarian protein. These grain-based vegetarian sausages, deli slices, roasts, loaves, breaded cutlets and frankfurters have flavors and textures so convincing, even die-hard meat lovers often think they’re eating the real thing. The Physicians Committee is leading a revolution in medicine—putting a new focus on health and compassion. The Physicians Committee combines the clout and expertise of more than 12,000 physicians with the dedicated actions of 150,000 members across the United States and around the world. 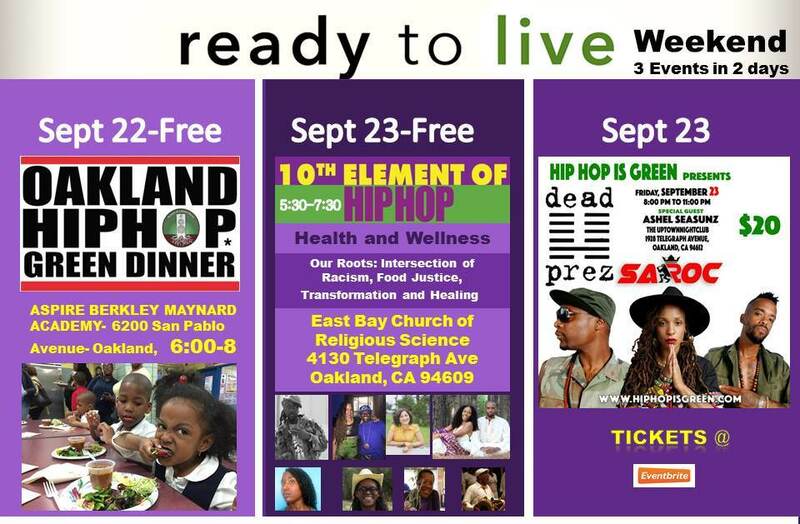 2016- The third annual Hip Hop Green Dinner kicked off Oakland Ready to Live Weekend. 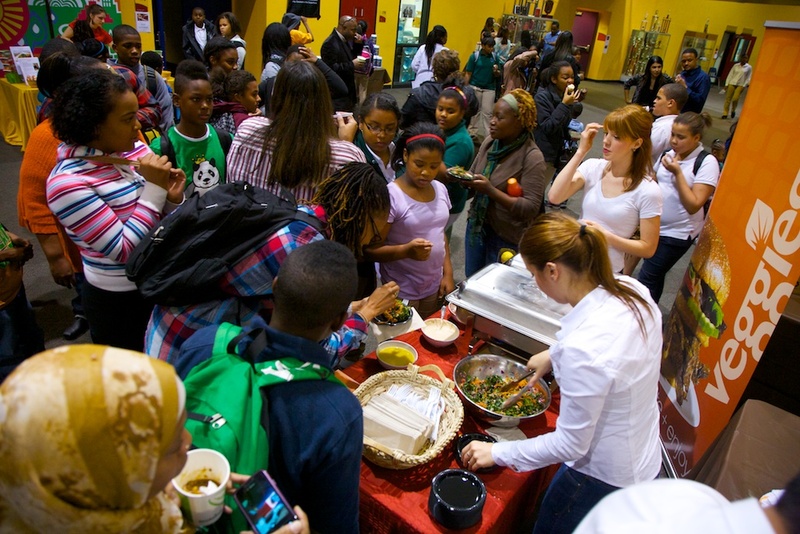 The Hip Hop Green Diner was first up and took place on September 22nd at the Berkeley Aspire Maynard Academy. It was brought to all by Akonandi Foundation and Outdoor Afro as well as many other local organizations. We want to thank everyone who came out to support our Oakland -Ready to Live Weekend. We were able to serve hundreds of youth and families healthy plant based food. We were able to produce 3 events in two days reaching nearly 1000 people. We were able to serve many youth and families and people were inspired and informed about health, wellness, the environment and animal abuse issues. Fred Meyer has a selection of vegan groceries in their natural foods section and throughout the store. Some of the store brand items even have the Vegan V on the front of the package to show that it's vegan. Nutiva® is dedicated to a healthy and sustainable world, demonstrating its mission to nourish people and planet by using delicious organic ingredients, enriching the soil, and donating 1 percent of sales to sustainable-agriculture groups. Founded in 1999, Nutiva is the world’s best-selling brand of nutritious organic hemp foods, extra-virgin coconut oil, and chia seeds. Its products are offered by 15,000 retailers in the United States, Canada, and the EU. Organically Grown Company ( O.G.C) has been committed to providing our customers with fresh and flavorful organic produce since 1982. Our passion for organic produce has helped us become the largest wholesaler of organic fruits, vegetables and herbs in the Pacific Northwest. Not only are we committed to organic produce, we are also committed to becoming ever more sustainable in our business practices, and we encourage similar methods throughout the trade. Earthly Gourmet is a Portland-based, wholesale distributor of raw, vegan and gluten-free gourmet foods, and sustainably-harvested local produce in Oregon and Washington State. 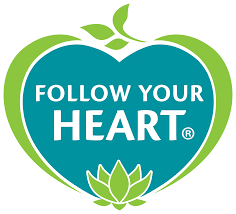 Earthly Gourmet’s goal is to introduce as much of the endless variety of naturally flavorful health foods to as many people as possible while remaining compassionate to all living beings and the environment in the process. 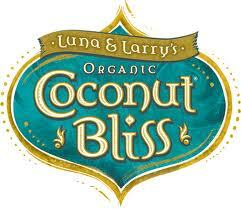 Luna & Larry's Coconut Bliss is a rapturously creamy and healthy alternative to dairy and soy-based frozen desserts. Crafted in Oregon from a base of naturally rich and cholesterol-free coconut milk, Coconut Bliss is completely vegan, certified organic, uses fair trade ingredients and is free of dairy, soy, and gluten. We have 14 flavors, including 4 new flavors for 2011 that include Coconut Sugar and Super Foods. 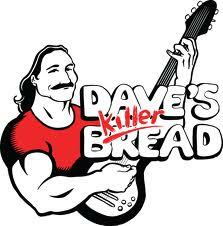 Dave's Killer Bread, located in Milwaukie, Oregon, is dedicated to baking the highest quality, best tasting organic bread possible. Each loaf is packed with whole grains, seeds, and/or nuts amounting to a bread that is both healthy and delicious. We currently offer 15 varieties that are sold in stores all over Oregon, Washington, Idaho, California, Utah, and Alaska. Our breads contain no animal products, artificial preservatives or sweeteners, or genetically modified organisms. In the words of Dave Dahl, a tireless worker dedicated to staying on the right path after so many years in prison: It is our vision to make the world a better place, one loaf of bread at a time. GoodBelly’s delicious organic drinks deliver a powerful daily dose of live and active probiotic cultures of Lactobacillus plantarum299v, a well-studied probiotic strain formulated for daily digestive health. * Refreshingly dairy-free, soy-free and vegan. Simply good to the core. 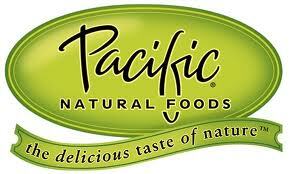 Since 1987, Pacific Natural Foods has been inspiring people to know more about their food, where it comes from and how it’s grown by delivering delicious, all natural and organic non-dairy beverages, soups and broths, made with respect for land, animals and people. We believe in capturing the full flavor of natural ingredients when flavors are at their peak because there’s simply no substitute for the real thing. At Veggie Grill we serve a variety of home-style plates, hot sandwiches, salads, daily soups, wraps, burgers and made-on-premise desserts. We make the impossible possible by serving100% plant-based food that is wholesome, convenient, affordable, and crave-able! Whether you want to relax at your place, grab-and-go or cater a gathering, Veggie Grill keeps pace with your life. 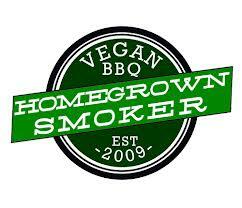 SortaSausage, based in Silverton, Oregon, manufactures the HempBurger, VeggiMeals crumble, and Breakfast SortaSausage. These products are Vegan, Non-GMO and Gluten-Free and packed with nutritional value. They are a great source of protein, Omega 3’s and whole grain goodness and available at natural food stores from Seattle to Eugene. The great taste will surprise and delight you. At VegFest 2011, long time Vegans said “that HempBurger is the best veggie burger I’ve ever tasted!” Come to VegFest 2012 and see for yourself! Like most small businesses, Sweetpea started as a hobby, with hours spent baking and tweaking and taste testing at home. At the urging of friends Lisa Higgins began to sell her baked goods in local Portland stores, and Sweetpea became official. With 4 years of wholesale under our belt we opened our retail bakery in Southeast Portland in January of 2008. We have expanded our menu to offer breakfast, daily homemade soups, sandwiches, bagels, and a full range of pastries. Saturday is always doughnut day. Come sit in our spacious cafe and watch our baristas pull shots of espresso and our bakers pull fresh brownies out of the oven. Better Beans are too good to be canned. So, every week we cook up our beans and sell them fresh (refrigerated) to our fans through local natural food stores and farmers markets. People are surprised our beans are vegan, because they are so full of flavor. Our secret is caramelization. We don't just boil beans, we saute them in Oregon grown, cold-pressed safflower oil. Better Bean uses real ingredients, no weird chemicals you can't pronounce or vegetables whose genes have been altered (genetically modified organisms). Plus, you can't go wrong with satisfyingly nutritious beans. Visit Better Bean's table and learn why beans are the magical fruit! National College of Natural Medicine (NCNM) is the oldest accredited naturopathic medical college in North America. Our exceptional graduate programs in naturopathic medicine and classical Chinese medicine blend ancient healing wisdom with modern science in challenging curricula. 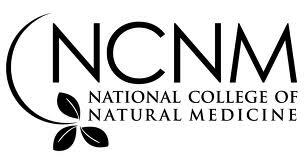 NCNM's natural medicine clinics and Helfgott Research Institute are also central to the student experience. The college is located in Portland, Oregon, a haven for those seeking well-being, community, culture and natural beauty - an ideal place to study natural medicine. North West VegFest: We educate and encourage people to make plant-based choices for a healthy, sustainable, and compassionate world. More and more people are choosing plant-based foods for a variety of reasons. Going veg is not about deprivation, it's about celebration. It's a very powerful choice to respect your body, the earth and other beings. Every plant-based meal is a vote for compassion, for healthy, nutritious food, for clean air and water, biodiverse habitats and sustainable farming practices. There are lots of reasons to choose to eat veg! Everybody has a different one! Vegan Food Prepared by the Green Lady! We give thanks for nuts, seeds, greens, fruits,vegetables, water, sun, and the hands that prepare! Our mission is to share the magnificently tasty foods of the planet. We believe that hunger can be wiped out all over the world, IN EVERY COMMUNITY, by eating sustainable life giving foods that can be shared from person to person, for each individual's prosperity and abundance in life. We use our creative imaginations in this food form for ourselves, each other, and the abundance of the earth. Some sponsors shown have supported our project in various cities and years.